Siemens is introducing a digitalization platform to the market in the form of Siemens Industrial Edge: This extends automation devices by providing data processing at machine level and by bringing highly developed analysis technology and the intelligence of Edge Computing to the manufacturing area in a secure way. Industrial Edge offers users the possibility of executing a range of descriptive, diagnostic, predictive and prescriptive analytical applications. This allows cloud connectivity (data to cloud) to be used in combination with Edge Apps from Siemens, third party providers or end users themselves in an integrated hardware and software ecosystem (Edge App to Device) for automation components. With Industrial Edge, Siemens is offering users the chance to close the gap between classic, local data processing and cloud-based data processing to suit individual requirements. Edge Computing allows large volumes of data to be processed locally. To this end, Siemens is releasing a broad spectrum of applications to users, including data processing, data visualization via webservers, data transfer to the cloud or IT infrastructures, and quick innovation cycles in the development of apps. There is also an additional reduction in memory and transfer costs as large volumes of data are preprocessed and only the relevant data is finally transferred to a cloud or IT infrastructure. Siemens Industrial Edge supports cloud transfer protocols for MindSphere, Siemens’ own open, cloud-based operating system. In the future, it will also support Message Queuing Telemetry Transport (MQTT), making data transfer safe, secure and effective. 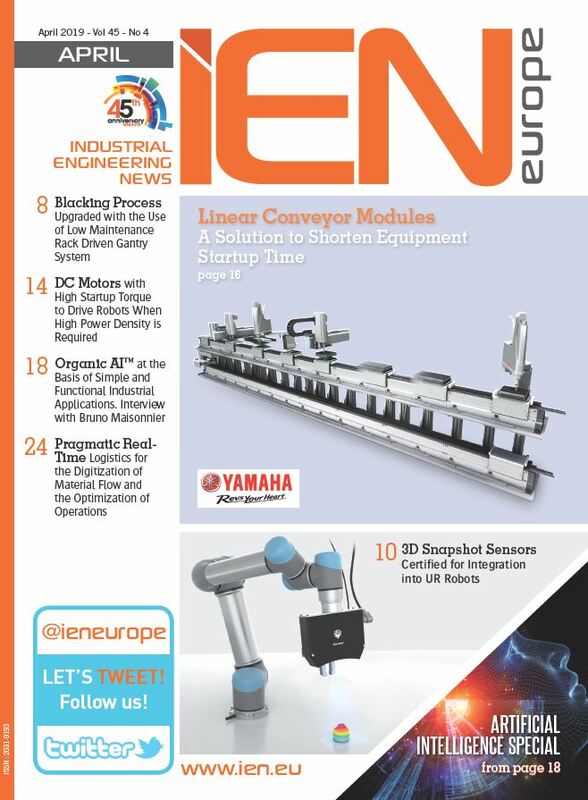 Industrial Edge with Sinumerik provides a machine-level platform for software applications which captures, preprocesses and analyzes high-frequency data. In addition to this, calculations can be carried out for complex machine tools and auxiliary process times or workplace monitoring can also be optimized. Both operating system and application in Industrial Edge for Sinumerik are installed and continuously kept up to date via backend services on MindSphere. Industrial Edge for Sinumerik thus provides users with continuously stable process and condition monitoring as well as significantly higher productivity. The Edge Management System provides central control of all connected Edge Devices as well as condition monitoring. 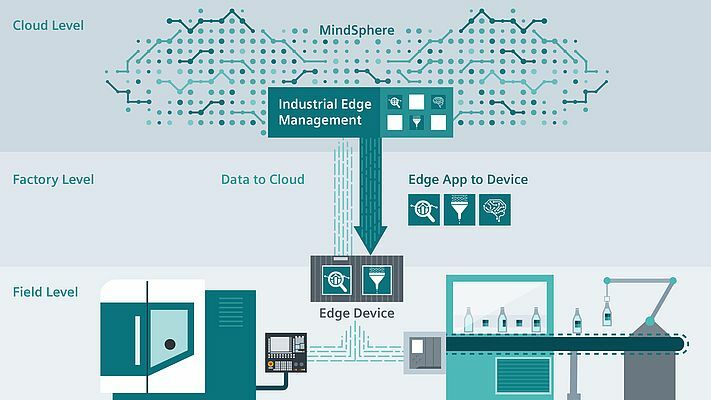 Users can use the Edge Management System to install software applications (Edge Apps) onto the required Edge Devices from the Edge App store in the backend system, e.g., MindSphere. Edge Devices are equipped with an Edge runtime software which guarantees the connectivity for both data capture from the connected automation element and for Edge Management: It also has a driver toolbox for access to device functions. The Edge runtime software also provides a secure app environment for executing functions on Edge Devices. Edge Apps for Siemens Industrial Edge are available from Siemens as well as third-party providers. In addition, it will also be possible for users to develop their own Edge Apps tailored to individual requirements. Siemens Industrial Edge offers users the possibility of executing a range of descriptive, diagnostic, predictive and prescriptive analytical applications. This allows cloud connectivity (data to cloud) to be used in combination with Edge Apps from Siemens, third party providers or end users themselves in an integrated hardware and software ecosystem (Edge App to Device) for automation components.